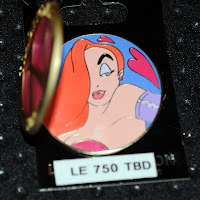 Experts of all the news happening around Disney, WDW News Today was on hand at a Pin Trading night and spotted a few new Jessica Rabbit pins soon to be released. 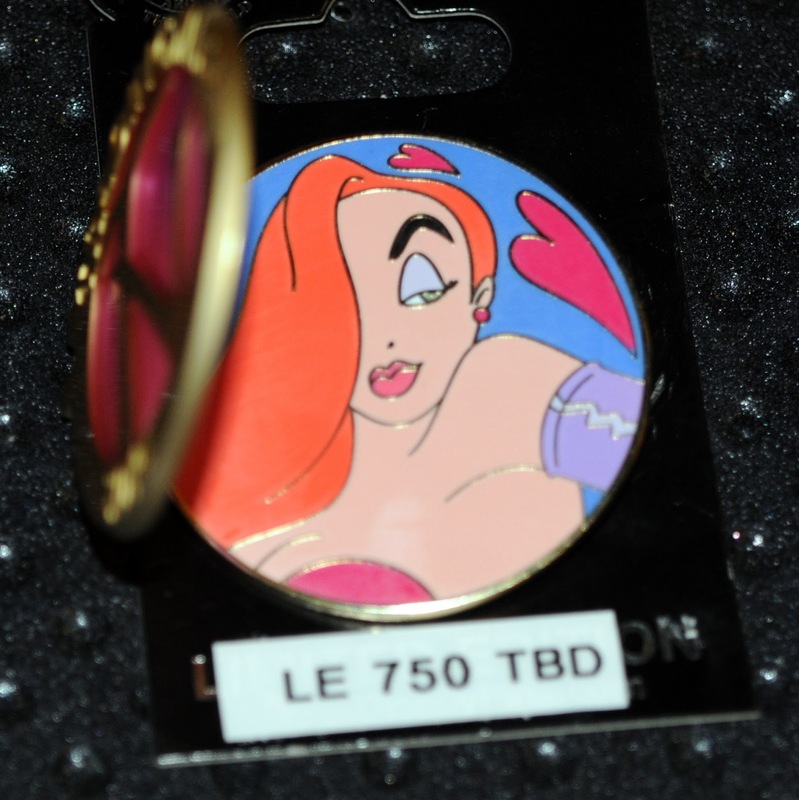 This first pin is the Walt Disney World Trading Night 2014 pin featuring Jessica. 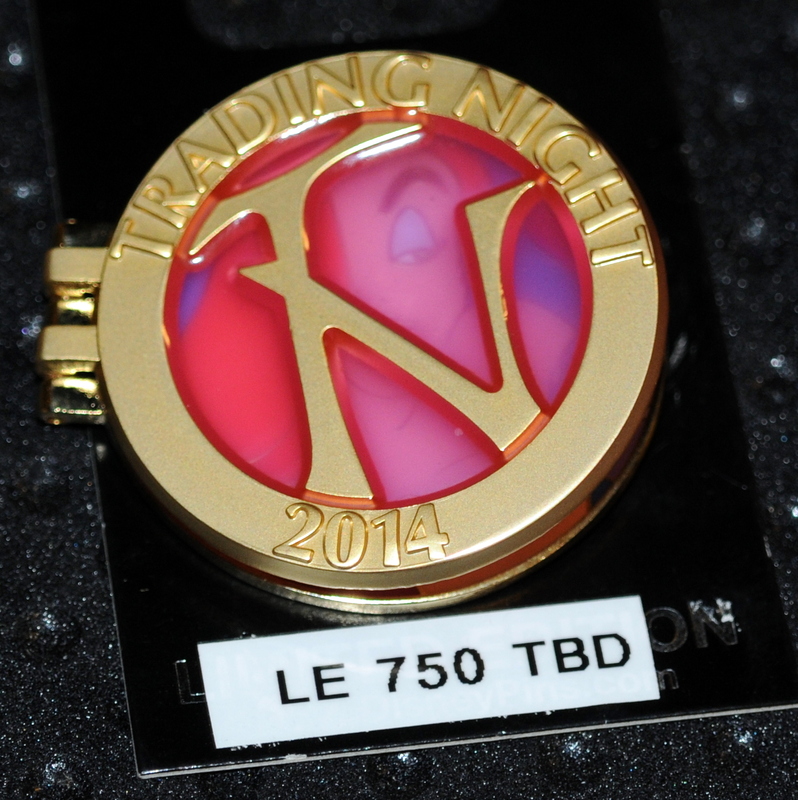 This should be the first Trade Night pin offered in February and will be a Limited Edition of 750. This circular hinged pin has Pin Trading 2014 embossed on a gold ring with a gold "TN" in the middle. There is a clear pink fill in between the letters, giving it a stained glass appearance. You can see the image of Jessica through it. When opened, Jessica Rabbit is in all her glory in a quarter shot which is taken right from the movie. The background is blue and she is surrounded by two pink hearts.